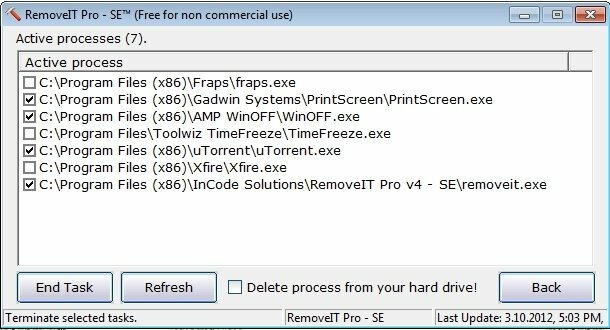 RemoveIT is an efficient tool that can locate any virus that manages to enter your computer and eliminates it. 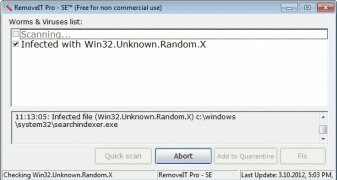 It can happen that the most common antivirus applications won't be able to access specific areas of the system where it is possible to find several viruses and other malware. 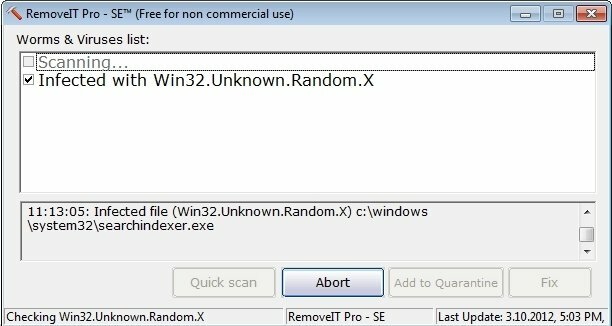 RemoveIT analyses the system in depth and finds any threat to the computer. Furthermore, it eliminates them in a rather radical way. 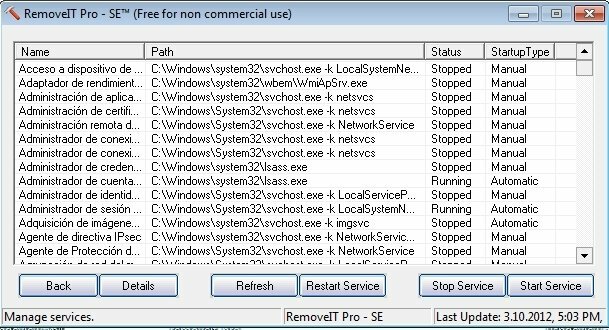 This application can be used as a complement for your antivirus, providing extra protection and allowing you to clean the system in depth. 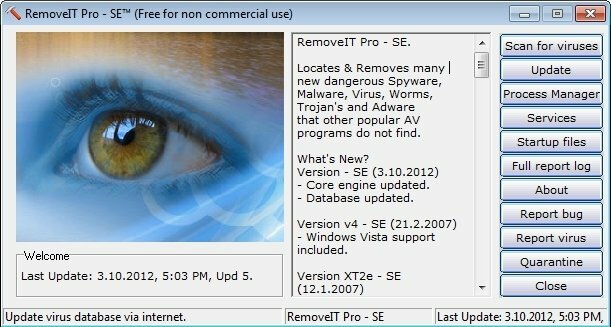 RemoveIT scans your hard drive in search of any virus and shows a list with the malicious software that it has found. 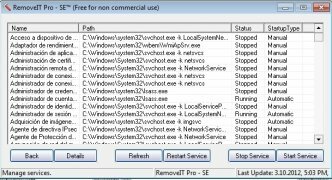 RemoveIT will give you the option to eliminate it or place it in quarantine. 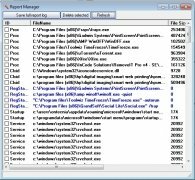 RemoveIT also has other tools that can be very useful: a process manager with which you will be able to finish any process that you want; a service manager; a utility to manage applications that run at the Windows Startup. 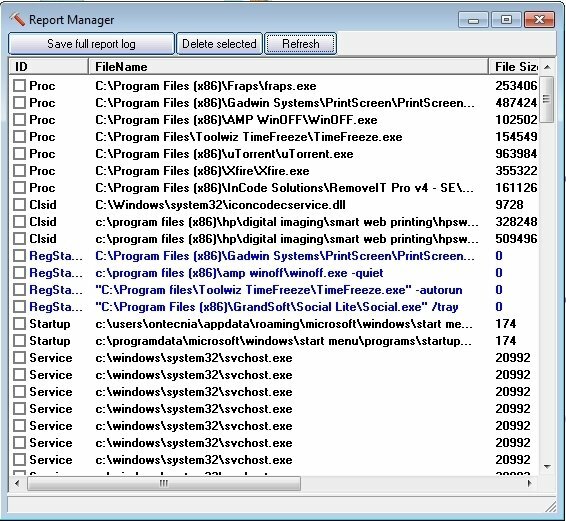 Try RemoveIT and eliminate those dangerous files that your antivirus has missed. The application is free for non-commercial use only.